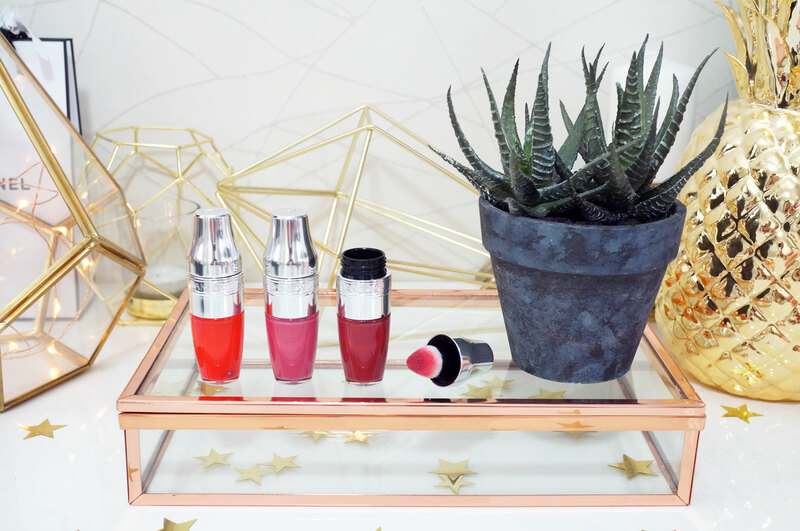 You’ve probably noticed by now that Lancome’s brand new Juicy Shakers are pretty much everywhere at the moment – and for very good reason too. This is a lip gloss, an oil and a fantastic lip moisturiser, all in one in a cocktail shaker shaped tube – I mean how awesome does that sound!? The idea of the Juicy Shaker came from Lancome’s original and iconic Juicy Tubes from the early 2000’s. Lancome wanted to bring their popular ‘juiciness’ back to the modern day by utilising new technology, to offer a product that has never been seen before. 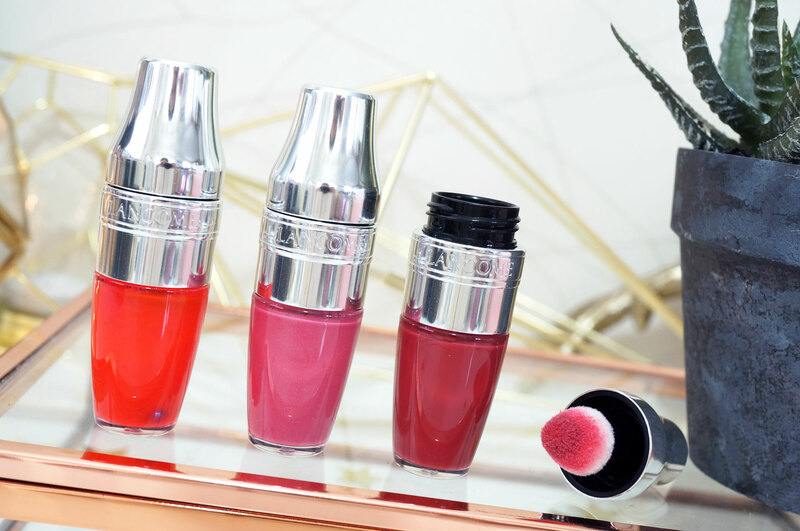 The Juicy shaker combines this with the look of the ‘Shaker’, one of the fabulous lipsticks imagined by the brand’s founder, Armand Petitjean, in the 1940’s. Peach kernel oil – softening and nourishing. Sweet almond oil – to leave lips supple and re-structured. Cranberry oil – anti-oxidant, protective and restorative of skin’s protective barrier. Musk rose oil – regenerating and soothing. 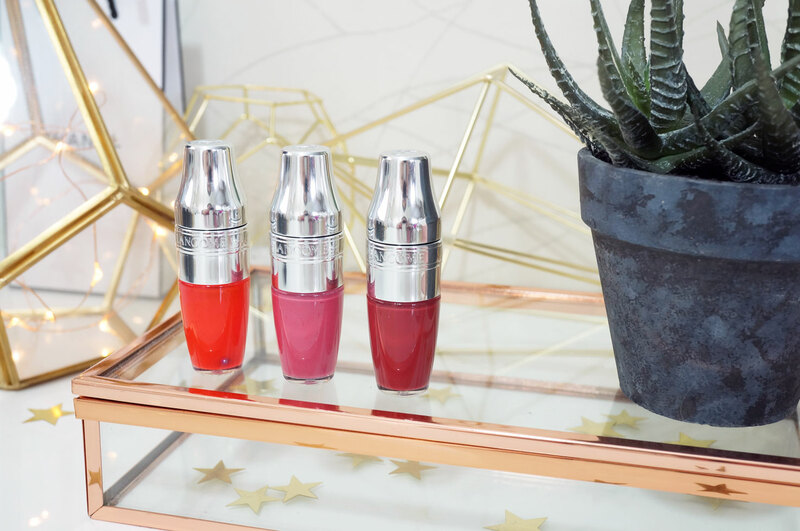 Phase 2 is all about pigments – the Juicy Shakers combine the comfort of the oils in phase 1, with the colour impact of perfectly dosed pigments in a multitude of vibrant shades with an adjustable finish. You can layer this product up as much as you like for higher colour intensity. The applicator is also worth a mention – the Juicy Shakers feature Lancôme’s first ever cushion applicator for lips – the chunky applicator is velvety soft and sponge-like to absorb just the right amount of formula for perfect application. Wonder Melon 352 – A bright orange-pink shade with a juicy watermelon fragrance. Meli Melon 301 – This is a mid pink colour with a juicy watermelon fragrance. Vanilla Pop 252 – A mid mauve shade with a light vanilla scent. I love how silky and smooth they feel on the lips, whilst giving a flush of colour – and because the colour is sheer, there’s no worrying about lipstick bleeding or transferring onto teeth, which is always in the back of my mind when wearing more opaque lip products. With Juicy Shakers you’re just left with gorgeous soft and supple lips that feel smooth and hydrated, with no stickiness – oh and they smell amazing too. I highly recommend these! This post has been sponsored by Lancome. All opinions are my own. Previous Post Save £10 on 30 Top Products at the House of Fraser Beauty Event!